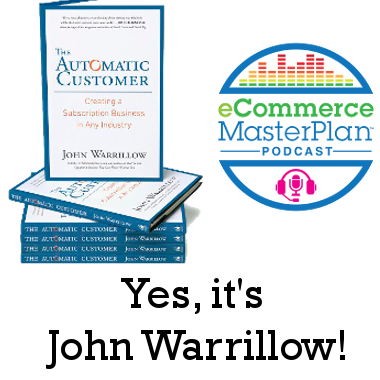 We have John Warrillow on the show, author of both ‘The Automatic Customer’ and ‘Built to Sell’. I found both books really useful, and ‘The Automatic Customer’ is often recommended by our guests, as of course, you will know. Not least because it’s the key text on subscription businesses. I’m going to be discussing The Automatic Customer with John, along with lots of other topics, and I’m going to be including some questions from you, the listeners. So thanks to those of you who submitted questions in the Facebook group, if you don’t want to miss out next time. I can’t promise to use all your questions, but I will do my best to fit them in. Well, my podcast (Built to Sell Radio) actually drives most of our traffic for Value Builder, so I think podcasting is a good traffic builder. It’s an oldie but a goodie, I’m an Evernote guy. I like the fact that it syncs across all my devices. If I’m sitting in front of the fire, I’ve got a comment that I want to add to a note, if I’ve got my iPad handy it’s great. It uploads and syncs with my desktop. I’m a big Evernote guy. Go sell. Stop writing a business plan. The more time you waste on your business plan is basically a fiction-, it’s a house of cards. It’s worth nothing until you actually go sell something. Matt Meeker, when he went to build BarkBox actually took a stripe-enabled phone and said, ‘Would you subscribe?’, and if you say, ‘Yes’, he actually took a credit card when he was interviewing dog owners at a dog park. It is one thing to tell your friends, ‘Yes, your business is wonderful’. Everyone will tell you your business is wonderful. It’s until you get someone to actually take out their credit card do you know that you have an idea with legs, and so go sell it before you go and work on the business plan. Here’s the full transcript of my chat with John – read, print – do with it what you like! CT: I’ve just given our listeners the shortest explanation of who you are, ever. So could you please fill in the blanks a bit more about the day job, about what you do, the books, etc. because that would be awesome. JW: Yes. So I run a company called valuebuilder.com where we help entrepreneurs improve the value of their company, and I came to that after having kind of been involved in four startups which I exited. 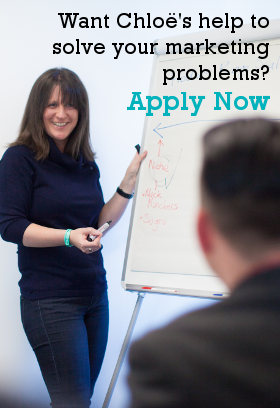 Most recently a qualitative market research business that was acquired by a public company. I have made every mistake there is in the book, as it relates to building companies to sell them, and so hopefully I tried to codify some of those in the book ‘Built to Sell’, some of those lessons. I guess one of the reasons that I followed ‘Built to Sell’ up with ‘The Automatic Customer’ was that of all the factors that we see driving up the value of your company, recurring revenues is one that is actually, often misunderstood by business owners. So, I kind of wanted to solve that by researching that and publishing that book. CT: So that was the drive to get into ‘The Automatic Customer’, then was literally a challenge you saw that a lot of people were facing? 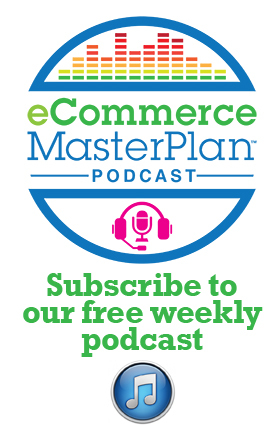 CT: See, I find it really interesting the way it’s the subscription piece that’s kind of changed the way people think about e-commerce within the industry over the last few years. I think your book’s done quite a lot to help with that as well, so thank you. It’s got multiple different ways of doing subscription, which means that people are now saying, ‘Oh, maybe I could do that,’ and some of the biggest beauty retailers in Europe are now adding a ‘Would you like to subscribe?’ into what’s been very much a traditional ‘buy a product, get an email a month later telling you to buy it again.’ So I find it quite fascinating seeing the really largest players in the market now looking at it. JW: Yes, and I think that’s great. I think it’s the pioneering companies: Target, Amazon, and so forth, are cracking the seal and making customers familiar with the concept and comfortable with the idea of buying a subscription. On the other side though, it means that every Mom and Pop e-commerce store or retailer is now in effect competing with the largest companies in the world. So, yes, I think it’s a double-edged sword in many ways. CT: Oh, yes. Endlessly, but you’ve just got to find the right edge of the sword for you, haven’t you? CT: Without taking the metaphor too far. So, let’s talk about subscribing. Obviously, in ‘The Automatic Customer’, you’ve got lots of different subscription models in there, not all of which are hugely e-commerce, but two of which are, which is the ‘Consumables’ model and the ‘Surprise Box’ model. Do you have any insights to share with the audience about which is better in which circumstance, or some must-knows before you headed down either route? JW: Yes, sure. First of all the ‘Consumables’ is basically replenishing anything that runs out where the act of replenishing it has no inherent enjoyment. So, think of razor blades, Dollar Shave Club being a good example of that. Going to Walgreens or Boots in the UK and replenishing your razor blades, there’s no inherent benefit or enjoyment to doing that, it’s just a task you’ve got to get rid of. So what Dollar Shave Club did so well, acquired by Unilever a few months ago said, ‘We’re going to, basically, come to your house, drop them off. Send them to you in the post, essentially, and you can just take one thing off your to-do list,’ and so that works really well where you’ve got a product or service that runs out, that is essentially a commoditised product. Kleenex: you mention women’s stockings, or pantyhose as they call them in the United States, razor blades, anything that you can replenish and use a regular, frequent cadence is a good example of a consumables market. The ‘Surprise Box’ arguably is one of the most challenging subscription companies to get right, because it is-, and I think the ones that get it right are focused in on an area where consumers have a deep passion for the area. So, the ‘Surprise Box’, to define it means that the consumer signs up for a surprise box, usually a physical box full of tricks and treats, and toys that relate to the theme that they care deeply about. CT: Wow. [laugh] That one hasn’t made it to the UK yet, I don’t think. JW: I’m sure it was invented in the UK, knowing you guys. It was like, different flavoured condoms, and different massage oils, you can imagine what goes in a lover’s box. You’ve got sports packs, where you’ve got your endurance sports nut, where different sports gels and different sports paraphernalia gets sent to you. So, you can imagine for one of those boxes to really work, you have to have this deep passion for the topic area. One of the ones that I think is emblematic of a successful example, or one that at least is arousing passion is BarkBox. Matt Meeker started BarkBox out in New York. It is a surprise box for dog parents, and he distinguishes dog parents from dog owners because dog owners are less passionate about their dog than dog parents. Dog parents obviously treat their dog like children. Those are the people that are going to buy a surprise box for dog treats, and so I think to make ‘Surprise Box’ work, the examples where it doesn’t work is you’ve got an area like chocolate lovers where, do people really feel that passionate about chocolate that they would sign up for a monthly subscription of different chocolate? I guess some people do. I’d argue that market is probably pretty small, so you have to find a market where there’s this really huge passion for that topic. CT: I always think, also, that the surprise box side of things, it’s that challenge every month, you’ve got to come up with enough things to put in that box that meet your cost targets, but also that at least 75% of them, I would guess, are of interest to the user. If you’ve got three Birchboxes in a row where not one product suited you, you would quite quickly unsubscribe, so that retention piece must be very hard when it’s about the surprise side of things, which is where I think the BarkBox clearly is a bit of a genius idea, because the dogs, I would have thought, are slightly less critical than humans. Not being a puppy parent, I could be wrong on that one. JW: [laugh] I think that’s absolutely true, where you’re separating the consumer of the surprise box from the actual purchaser of it, and in fact, that’s something to think about as well. When you come to, whether it’s a consumable or a surprise box, it doesn’t necessarily have to be the person who buys it. It doesn’t actually have to be the consumer of it. So a good example of that is flower shipment, so H.BLOOM is a subscription based flower company. A lot of people would buy flowers on a subscription, in many cases for their Mom. So, if they’ve got an ageing parent where their Mom would really appreciate flowers being sent them on a regular occasion, they’ll subscribe to H.BLOOM and send them twelve bouquets of flowers to their Mom once a month and Mom is surprised and delighted every month and thinks of their son or daughter. Secretly the son or daughter has automated the process, so they’re not actually thinking of them proactively once a month, but gift subscriptions can be an interesting model for some companies, but you’re right. If you fail to nail the curation process which is in the surprise box, the sort of, secret sauce, that’s where you have a problem. More people will subscribe for two, three months. The average tenure of a subscribe box subscriber last time I checked was less than 12 months. So, you know, the reason for that is, as you rightly describe, after two or three months, they’re not getting surprised or the things that are in the surprise box are not things they would use and that’s when they churn out. It’s easy to envision surprise box examples. It’s a much bigger task to figure out what changes with enough frequency that the sampling process is something people care about. Birchbox has done it. I guess-, women-, my wife is not a subscriber but I could see her potentially subscribing because she likes to try different cosmetic products and doesn’t want to go and buy a $60 bottle of hand cream without trying it first because it’s expensive. CT: Yes, it is a very, very cheap way to get your beauty fix on a regular basis. CT: I think what’s quite interesting is that quite a number, and I fail to keep count, but a high percentage of the examples we’ve just been talking about are often a product that could be a consumable or could be a surprise box and it’s the way people have chosen to position it that has turned it into one or the other. Like the flowers example, in particular, I thought that-, it could be that someone just wants a subscription of flowers to come into the house. There’s many florists who actually have-, their business works on that model. They supply the hotel with flowers all the time on the consumable side of things but then the example you were giving was more of a kind of a surprise box. So I think that’s quite interesting how the product could, kind, of fall in one of two-, One product could go both ways. It’s kind of how you market it and position it that defines it as one or the other. JW: Yes, I think that’s fair. I think again some product categories are going to lend themselves to others. Shaving is such a force of habit that you’re not going to want to try different razors every month. Like, if you like the 4-blade razor from Dollar Shave Club, that’s the razor you use, you don’t want to be mixing that up all the time. It’s a precise thing. You get used to doing it. It’s like you don’t want to shave with a different utensil, whereas again, cosmetics is something you might want to continue to experiment with. It’s driven a little bit more by the product category. CT: But then thinking about it one of our very first podcast guests was a company called Wet Shave Club, who send men shaving-, and women now, shaving accessories. You know they are still going as quite a successful subscription company, so it seems if you can find the right target market maybe you twist anything in the right direction. CT: I’m going to come on to a question from one of our listeners now who’s Dave Rothero of Cheese Posties who has been on the show a couple of times and he’s got-, it’s kind of a consumable because you get a cheese toastie through the post every week, but it’s also a surprise because there are so many different flavour options. JW: Forgive me, Chloe. I don’t know what a cheese toastie is. CT: Ahh, it would be a grilled cheese sandwich. JW: Okay got it. A little ‘lost in translation’ moment there. CT: [laugh] That’s okay. I’m glad you pointed that out because otherwise, many of our American listeners, as well as our Canadian listeners might be going, ‘What are they talking about?’ It’s a mouth-watering selection which I believe is currently still only available in the UK, for anyone wanting to go and check it out. Dave asks that subscription commerce marketing has got to address many more trust objections from the customer than if you are just going for that one-off purchase because there’s the automatic payment piece and you’re signing up to potentially an endless scenario. 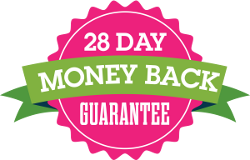 What do you believe-, and, you know, this is obviously something which the B2B business, the non-e-commerce business, has to deal with on any subscription model really, is that on-going commitment. So is there a particularly powerful mechanism that you’ve come across that addresses those trust issues and lowers that barrier to conversion. JW: Yes, Dave. I think that you’ve hit the nail on the head for sure. There’s a couple of elements to it. There’s not only trust that this cheese toastie company is legitimate and ‘They’re not going to steal my credit card information’, or, ‘They’re going to allow me to cancel when I want to cancel’. There’s all those worries that people have. There’s also something called subscription fatigue, which is setting in increasingly, as we get our credit card statements and more of what we buy now is on subscription, whether it’s Netflix, Dollar Shave Club. Instead of going to the pharmacy once a month, we are seeing these sort of 10, 20 and 30 dollar a month charges. So now our credit card statements are going to two, three, four pages long, and they’re becoming a big nut at the end of the month and so people’s threshold to subscribe is growing. It’s harder to get them to subscribe that it would have been, say, two to three years ago because of this thing called subscription fatigue. So I think you’re absolutely right. You’ve got to overcome that. I talk about 10x versus 10%, and what I mean by that, Dave, is you’ve got to somehow try to figure out how the value proposition to subscribing is literally 10 times more valuable than buying it on a one-off basis, and if you can’t do that, you might want to rethink the subscription model altogether. For example, Netflix: I would make a case that for, I think I pay $7.99 a month for Netflix, I can make a strong case that it’s actually worth more like $70 a month given all the content that I can consume, that my kids can consume, etc. on Netflix. That’s a 10x value proposition over what the standard model was. I’m struggling with the Cheese Toastie subscription to get to 10x, and so that would be a concern for me. I’d want to find a way to make it so much more valuable to subscribe. I think if you’re just saving 10% to subscribe, I don’t think it’s got legs. You’ve got to somehow figure out a way, to maybe, it’s perceived value, but it’s got to be some value that’s dramatically more than you would have if you just bought it on a one-off basis. As it relates to giving people confidence in subscribing, I think that’s where you might need to lean on the credibility that someone else already has. Could it be ‘Jamie Oliver’s Cheese Toasties’, and you do a licensing tie-up with Jamie Oliver so that he provides his credibility, or could it be Sainsbury’s Cheese Toastie Selection or some other up-and-coming chef? Maybe, obviously not as well-known as Jamie Oliver, but some up-and-coming person that would credentialise it for you and give it some third-party endorsement. You’re right. In of itself, I’m thinking, ‘Are the conditions in the kitchen clean?’, ‘Some guy in the back of his truck is bringing me a toasted sandwich.’, ‘How does that work?’, ‘Am I going to be poisoned from it?’ I’ve got a lot of questions about cheese toasties on subscription. Those are a couple of thoughts on that one. CT: Presumably, that third-party endorsement, once you’re up and running, as long as you’ve got customer testimonials, they’ll do a similar job for you. JW: Yes. I think people are getting a bit sceptical of customer testimonials. I think anybody can get five or six nice friends to say nice things. I think Joe Malone Cheese Toasties feels a lot-, Having some third-party credibility that we already trust feels like it’s going to be a much more compelling value proposition. The other piece of it is maybe changing who you’re selling to. Right now, I’m assuming you’re selling cheese toasties to consumers. The other option is to think of it as a B2B play and go to small takeaway restaurants that want to have some different things, some different selections for them. They maybe don’t have a kitchen, or don’t have the ability to experiment, etc. so selling a subscription of, say, ‘We’ll supply you, every day by 11 am 20 cheese toasties that you can resell in your restaurant, in your high-street take-out store.’ That’s rephrasing it, or reframing it from a business-to-consumer model to a business-to-business model which might have more legs. CT: Wow. Well, Dave, I hope you got a few bits and bobs from that. I’m certainly envisioning you scribbling about that last one if nothing else. We’ve got another listener question for you now, which is actually from Christine Nicholson who runs Divine Legs, which is the tights business we mentioned briefly in the intro. This one is a bit broader. It’s a bit outside the subscription world, but this probably comes very much from the Value Builder side of things. What’s the biggest single factor that you see makes people’s businesses successful, or is that just too broad a question? JW: No. I think it’s a great question. I think generally, it’s recurring revenue. All eight factors we measure at Value Builder-, we measure eight factors-, as I mentioned earlier, it’s things like growth potential, financial performance of your company, cash flow, how well differentiated your product or service is, and I argue the two most important factors, in other words, the factors that are weighted the heaviest in our algorithm are recurring revenue and what we call monopoly control, which means how well differentiated your product or service is in the marketplace. Those that score really well on monopoly control have a very unique product. Those that score very poorly are distributing somebody else’s product. Those businesses trade at a very low multiple, those people that are distributing other people’s products, whereas ones that have a unique product, they control the brand, etc are scoring more highly. Recurring revenue is equally important. Obviously, the buyer’s going to want to know, once Christine retires or sells her business, how’s this revenue going to continue? So they’re going to look at the recurring revenue and, I guess, underneath the recurring revenue leg of the stool, the most important key performance indicator obviously is going to be your churn rate. Your churn rate is going to inform your growth rate. It’s going to be everything, really in a subscription model. So, obsessing over your churn rate, I think, is the key performance metric there. CT: If you could just explain that, that’d be awesome. JW: Yes. It’s just the rate at which people cancel your subscription, and it’s usually expressed as a percentage. You can have revenue churn rate or customer churn rate. Revenue churn rate is, you enter a month with, let’s say $10,000 of recurring revenue and let’s say you lost because people cancelled, $1,000 of recurring revenue. Your revenue churn rate for that month would be 10%, 1,000 of 10,000 that you had coming into the month. That would be a 10% revenue churn rate for the month which would be very bad. That would be your revenue churn rate. Your customer churn rate is the same basic formula but based on customers. So, if you have 100 customers at the beginning of the month, 10 cancel, you’ve got a customer churn rate of 10% a month. CT: So, what sort of numbers should people be feeling is reasonable or a good target? JW: Depends dramatically on the kind of business, and I don’t mean to dodge the question, but it really does depend on what business and what industry you’re in, what model you’re using. Arguably, the more important number than your churn rate-, churn rate will define this number by the way, but what investors look at is your LTV:CAC ratio, which stands for your Lifetime Value to Customer Acquisition Costs. What an investor is looking for, what a professional buyer, someone who wants to buy your business or a portion of your business, they’re looking for an LTV:CAC ratio of at least 3:1 meaning you’re going to capture at least three times as much revenue/profit contribution as it costs you to win that customer. If it costs you $100 to win a customer, your lifetime value should be at least $300 if you’re looking to raise money for your business or sell it. JW: Your lifetime value of a subscriber is informed by your churn rate, is driven by your churn rate. The way you calculate lifetime value is you take your monthly recurring revenue, you multiply it by a margin and divide it by your churn rate. Again, this is a bit too much math for a podcast, but essentially your LTV:CAC ratio is going to be your most important metric. For example, you can get away with a reasonably high churn rate if it’s really inexpensive for you to win customers, because ultimately you’ll find that your CAC, your customer acquisition costs are relatively low, therefore you can get to that 3:1 ratio. For example, ancestry.com, the guys who help you make your family tree has a 3.4% last time I checked monthly churn rate, which sounds astronomical. It’d be 40% a year, but they’ve got a really efficient way to acquire customers very inexpensively. I think their cost to acquire customers is less than $100, so their LTV:CAC ratio is, actually, almost up around 6:1 because their acquisition costs are so low. If you take a business-to-business software platform, salesforce.com as an example, to get someone to change their CRM platform is huge. It takes a very expensive salesperson months if not years to convince a company to switch to salesforce.com, meaning their customer acquisition costs might be hundreds of thousands of dollars in the large enterprise space, maybe even millions, but the lifetime value is equally high, so they can afford it. So there’s no one churn rate that is good or bad. In the case of Ancestry, it’s very high. In the case of salesforce.com, it’s very low. What is more important is your LTV:CAC ratio. CT: What a fantastic explanation. For those of you who are struggling to follow the numbers, I’ll make sure we put all of that in the show notes. Those are invaluable numbers, so if you didn’t 100% get them, then do go to the show notes to have a look because they are crucial whether you’re looking to sell, or just looking to build and keep-, you really need to understand those numbers. I have one very quick question for you, John, on one other piece of jargon-, industry wording. If you could give us a really quick explanation of what a multiplier is. JW: Yes. When you sell your business, you will sell it for a multiple typically of either your revenue or earnings, and so a subscription company, a successful subscription company growing at 25-50% a year might be trading these days at, say four times top-line revenue, meaning if you have three million in top-line revenue, it would be roughly worth around $12 million. That’s a multiple. In the subscription world, unlike the offline world, or the bricks-and-mortar world where multiples are multiples of profit, typically, in the subscription world, they’re often multiples of revenue. So, subscription businesses, in general, are valued at a much higher rate than traditional business because of the recurring revenue.